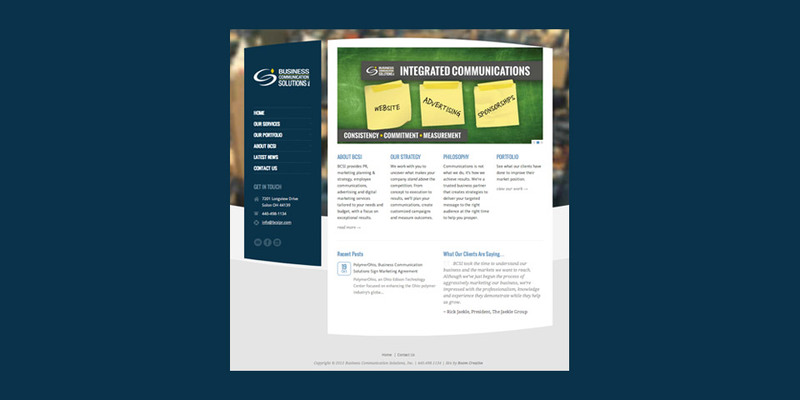 Business Communication Solutions, Inc. (BCSI) is a strategic communications agency that has one simple mission: Help businesses prosper by communicating better with customers, prospects, shareholders and employees. BCSI has the personnel, resources and strategic partners to effectively deliver your story. We deliver services tailored to your specific needs and budget—and tailored to deliver measurable results. You get the most reach for your precious marketing dollar with services that include public relations, marketing planning & strategy, employee communications, advertising, SEO/SEM, and digital and social media marketing.